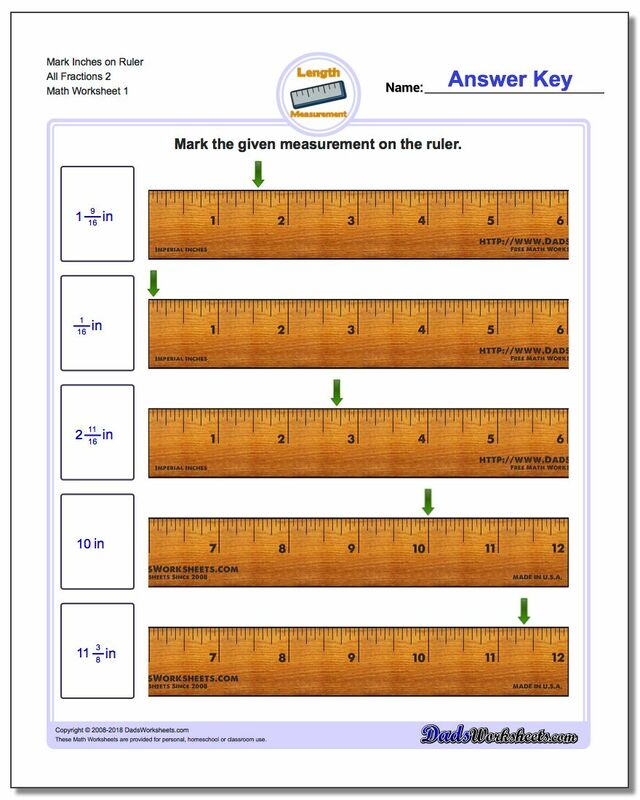 On these worksheets, students are given a measurement and are required to show the correct point on the ruler. Once students are comfortable reading a measurement from a ruler, the next step is to be able to accurately mark a specific measurement. The inch ruler worksheets on this page start with problems where a student is given a measurement in whole inches and they are asked to draw an arrow indicating that measurement on the ruler.